By 1927, Who’s Who in America expands along with the country, growing to over 26,000 listings. The standards of admission remain stringent but are broadened to include ambassadors to the United States, foreign actors of renown in America, more businessmen, among others. Still, generally speaking, one group is conspicuously absent: athletes. 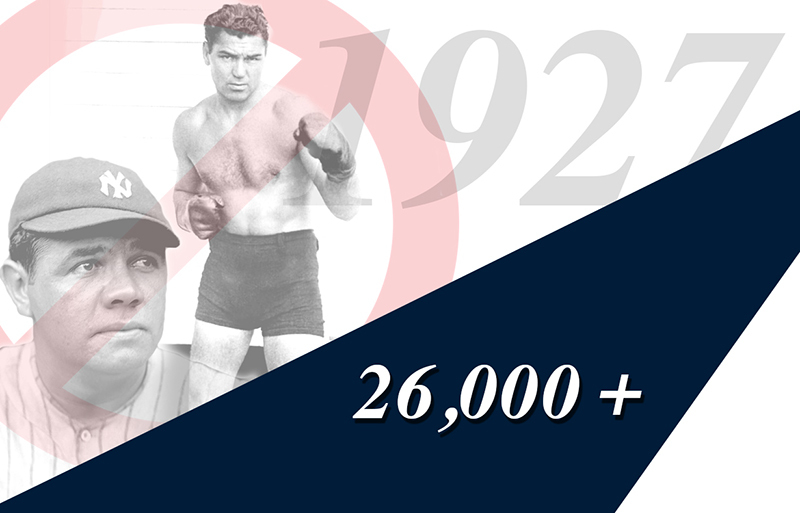 The legendary names of the 1920s, baseball star Babe Ruth and heavyweight champion Jack Dempsey are not included, as is the case with numerous other well-known athletes. There are occasional exceptions to this rule. Boxer Gene Tunney, who had dethroned Dempsey to win the heavyweight title, is included in Who’s Who in America, but his inclusion is as a result of his business achievements, not his boxing career. Tennis star Bill Tilden is included because tennis is thought of as a ‘gentleman’s game’ by the Marquis editors.